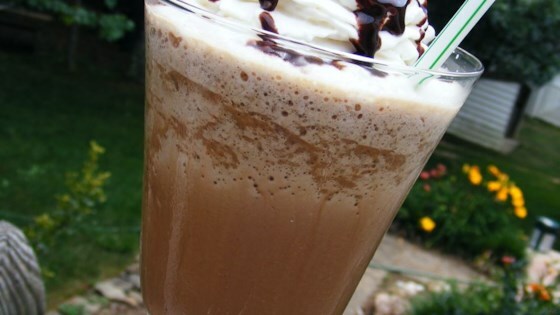 "A cooling pick-me-up of a coffee-chocolate milkshake." All I can say is WOW! I will never spend $3.65 at starbucks again! My DH is a huge fanatic of frozen coffee and loves this drink. I can't freeze the ice cubes fast enough!